Fig. 2. 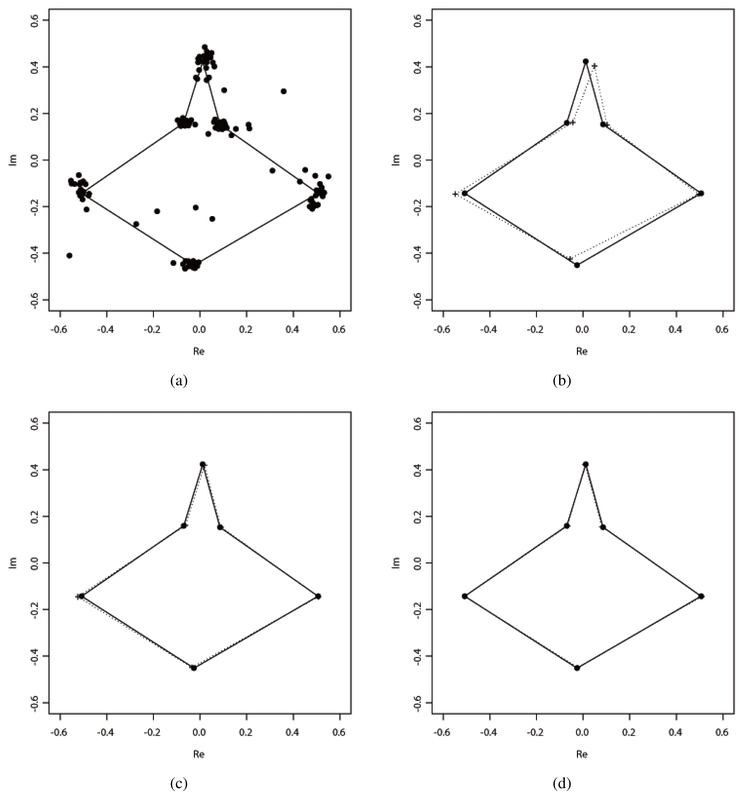 Procrustes mean shapes for 23 T2 mouse vertebrae data; (a) landmarks for data with 4 object outliers, (b) LS, (c) M, and (d) LMS, where the solid line is Procrustes mean shapes for the data without object outliers and dotted line is that for the data with object outliers. LS = least squares; M = M-estimator; LMS = least median of squares.